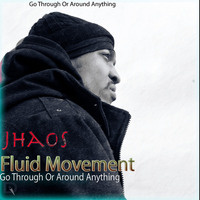 Jhaos is a rapper,songwriter,and producer. He can mix and master with perfection in the studio when needed. He is from Forestville, Maryland (DMV). He started rhyming in 1988 when became more aware of his surroundings. He has been rapping ever since. He done allot of traveling in the US, and around the UK, meeting and networking with people focused on this next level grind. He is always focus on new ways to transform and master his art to the next level.